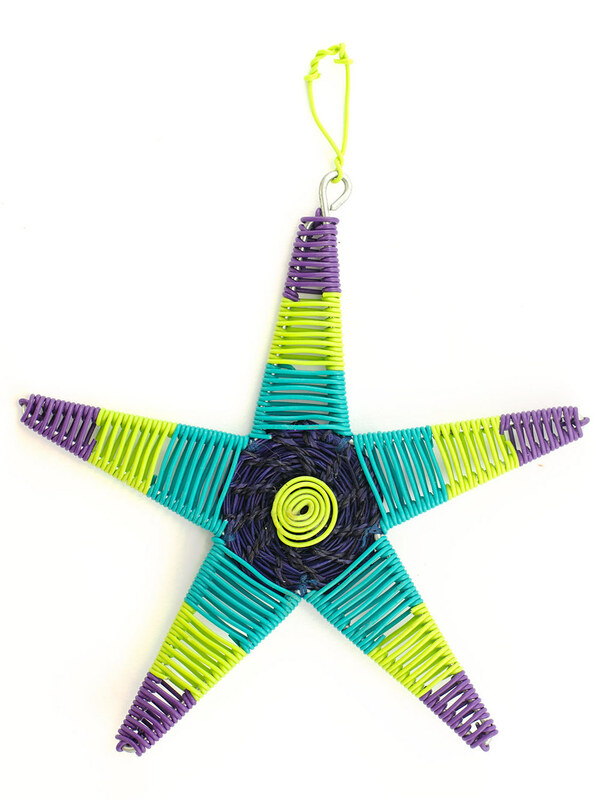 Large Scooby Star: This star frame is crafted out of wire. A handwoven grass disc made by weavers in the Drakensberg mountains is stitched into the middle of the wire frame. 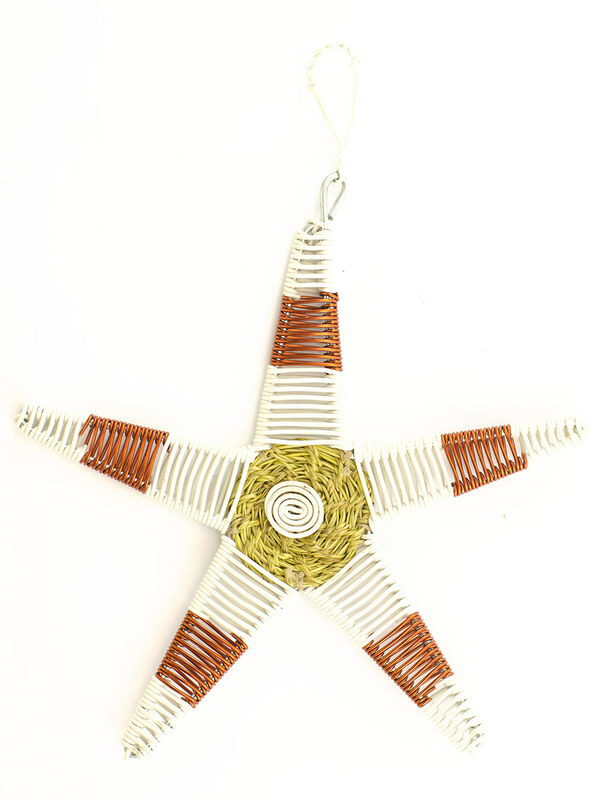 The star arms are then wrapped with colour coordinated stripes of scooby wire and or copper wire. 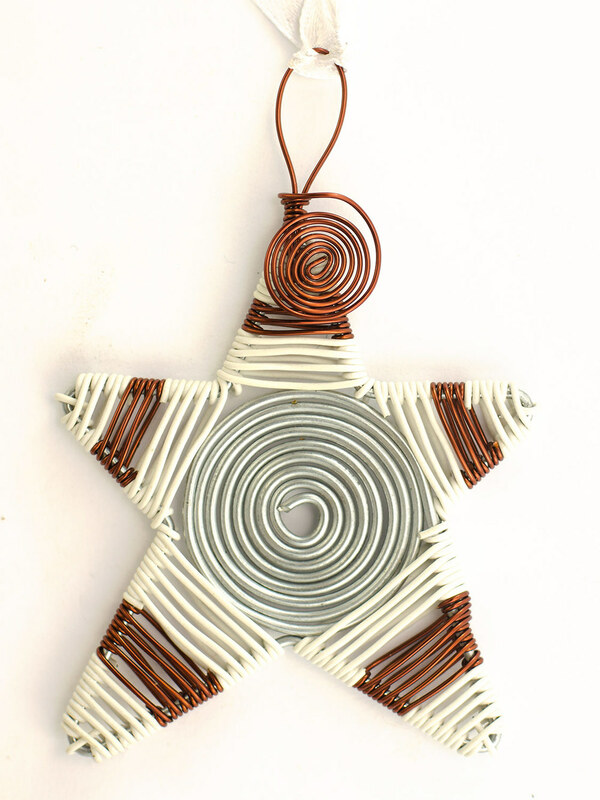 Small Scooby Star: The star is shaped using wire with a wire spiral in the centre and then the small arms are wrapped with combinations of coloured scooby wire and or copper wire. Click here to send us a query or get a quote.